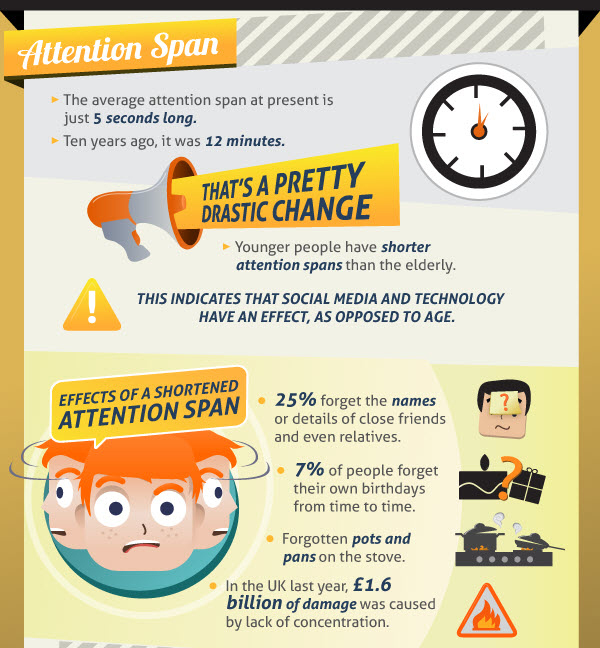 According to a fascinating infographic entitled “How Social Media is Ruining Our Minds,” over the course of the last ten years the average attention span has dropped from 12 minutes to a staggeringly short 5 seconds. As a person deeply ensconced in this connected age my experience shows this to be true. These days, we give a YouTube video just a few seconds to determine if it’s worth it. So what else does social media and technology affect within our minds?